Wash Your Whites, Everyday With Ease! Not long ago, you’d be dismayed at for saying something as above. Alas! Technology is at our service! One of the strenuous household chores for any Indian homemaker is to wash clothes with hands. The Home Appliance Maker companies with leaps of Technology have brought changes into how our houses work! Washing clothes no matter how difficult the stains, is considered simplest of tasks of daily chores. Cleaning dirt from clothes with hands is the most tiring task for any homemaker. This involves a lot of physical activity, and at times may not even give the best wash or a clean look to your clothes. Choose Smart and Make Your Tasks Easier! To get rid of all your washing woes, we bring you the smartest appliances for your smart home which not only makes your clothes look perfect, but also gives your house a smart look. 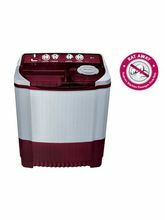 Make clothes-washing an easy and handy task, take a sneak peek into the array of washing machines available online and choose the best. Here is a range of smart home appliances; this store of washing machine online showcases advanced technology, superior design and powerful functions in washing machines. 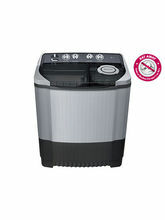 The store includes fully- and semi-automatic machines; to make it more user-friendly, manufacturers have introduced top loading and front loading washing machines. Washing machine brands like IFB, LG, Whirlpool, Electrolux, Godrej, Kelvinator, Samsung, Videocon and more. You can decide according to your requirements and what suits you best. Attractive colours, sleek modern designs, user-friendly technology, powerful functions and what-not, you ask for it and we make it happen for you. Buy Washing Machine at Swash-Buckling Prices Only on Infibeam! 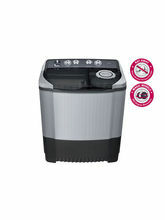 The store has a mix of all varieties: fully and semi-automatic washing machines, top loading and front loading washing machines. 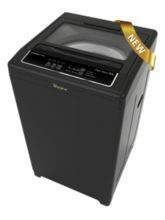 Top loading washing machines comes in a range of capacities and sizes, thereby making it easy for you to select the one that suits your space. 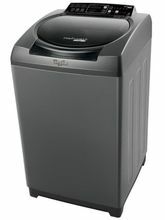 Space becomes an important factor while making a selection of washing machine. But, with plenty of varieties available at our online store, you need not worry either about the capacity or the space. 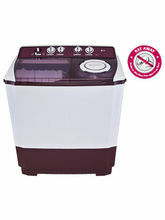 With huge capacity washing machines, experience the best wash and give both your cloth and home a brilliant look. And apart from Washing machines Infibeam has an exquisite collection of best Home Appliances, Refrigerators, Air conditioners available in the market! Get all that your home needs!